Hours ago, liberal comedian Rosie O’Donnell and conservative commentator Ben Shapiro got into a Twitter war, reports The Daily Wire. O’Donnell’s proposition raised many eyebrows. Prior to Ben Shapiro’s response, other Twitter users reminded O’Donnell of the illegality of her offer. As noted by columnist Jeff Jacoby, 18 U.S. Code §201 mandates that those who attempt to bribe American Senators with four million dollars are liable to face $12 million in fines along with 15 years of imprisonment. If Trump orders Sessions to investigate Rosie, he will be carved into Rushmore by Friday. 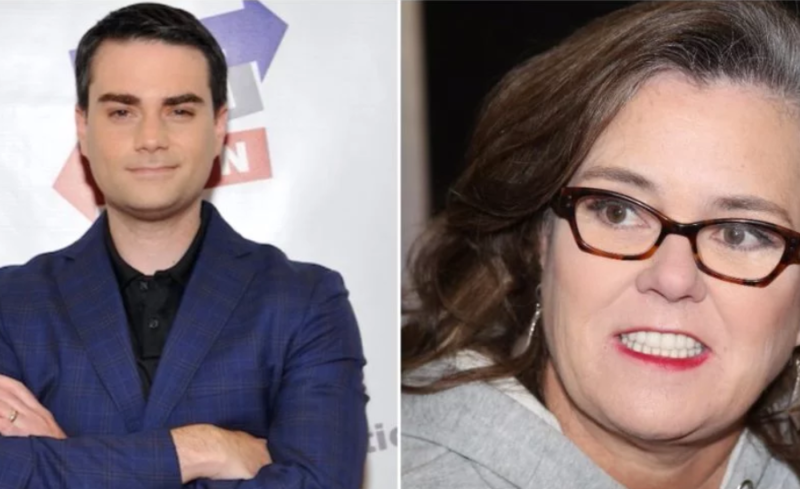 How Did America Respond to the Shapiro vs. O’Donnell Spat? O’Donnell’s offers to bribe Senators Flake and Collins have attracted very strong criticism on multiple accounts. While critics noted the obvious breach of American law, they also affirmed that Republicans’ Tax Cuts and Jobs Act will help middle income Americans. Democrats have repeatedly slammed the aforesaid tax bill as merely more tax breaks for wealthy Americans and big corporations. However, conservatives maintain that their legislation is geared towards aiding the middle class. Ultimately, both Jeff Flake and Susan Collins voted in favor of the Tax Cuts and Jobs Act. They also declined to acknowledge O’Donnell’s appeal.